Sameday Express (SDX & LSX) Major Centres Local Area's By special arrangement. Lodged on the first available flight, delivery within 90min of touchdown in major centres and 90min after collection in Local Area's. Only use this shipment for extremely urgent shipments. Requesting a quote is advisable. Arranged on request only and flight dependent for major centres. Regional Area's By special arrangement. Only done if specific arrangements are made in writing as a surcharge is applicable per km round trip. Most expensive national service. Always request a quote. Local Sameday Economy (LSE) Local Centres only Collection placed by 10:30am and ready by 11:00. The collection is delivered by 17:00 on the same day as collection. Semi-urgent deliveries for delivery during the course of the same business day. Every day by 11:00 with your Local Franchisee. Regional Area's Collection times vary per route. Please confirm. Within 24 to 48 hours unless special arrangements have been made. Regional Area's Collection times vary per route. Please confirm. Within 36 to 48 hours unless special arrangements have been made. Regional Area's Collection times vary per route. Please confirm. Delivery effective within 3 to 5 working days. Transit times vary by major centre. 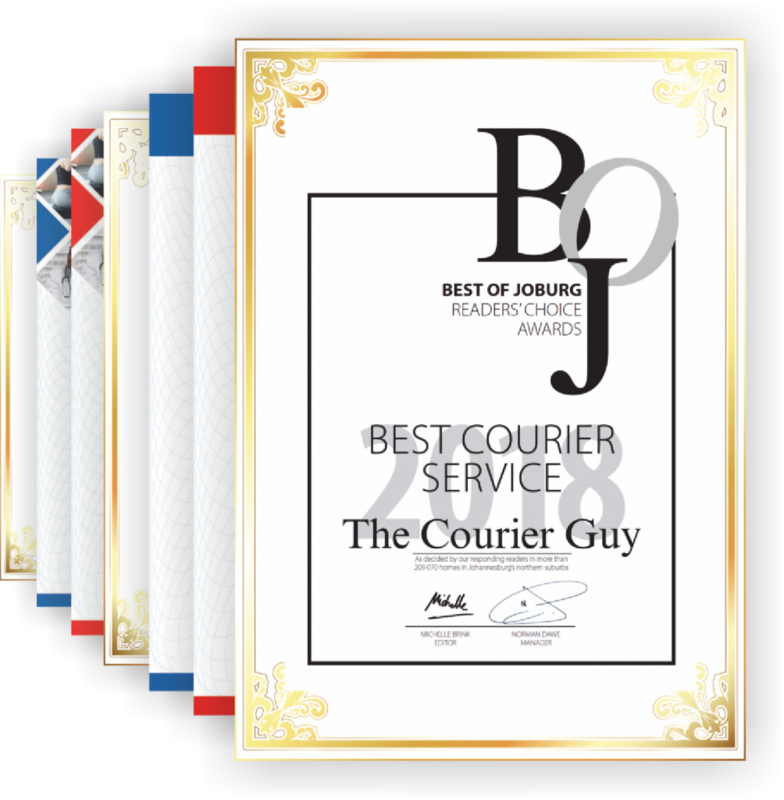 International Courier Documents Collection placed between 08:00 & 14:30 unless by other arrangement. Transit times as per the International Rate Sheet. Use this service for sending documentation only. Brochures and magazines are not considered documents. Every working day from Johannesburg and Cape Town. International Courier Non-Documents Collection placed between 08:00 & 14:30 unless by other arrangement. Transit times as per the International Rate Sheet. Use this service for sending consignments other then documents. Every working day from Johannesburg and Cape Town. International Air Freight Collection placed between 08:00 & 14:30 unless by other arrangement. Quotations must be obtained whereupon transit times will be specified. Use this service for sending consignments 30Kg and over. Every working day from Johannesburg and Cape Town.